NEW Shalom Sesame Be Happy - It's Purim! Join lovable, furry Grover and celebrity host Anneliese van der Pol (That's So Raven, Broadways' Beauty and the Beast) as they travel to Israel in this 12-part DVD series co-produced by Sesame Workshop, the nonprofit organization behind Sesame Street, and Israel's Channel HOP! Designed to help bring the vitality of Jewish culture and tradition, as well as the diversity of Israeli life, to American children and their families, each live-action and animated DVD focuses on storylines drawn from Jewish cultural traditions, highlighting lessons on Hebrew letters and words, unique sites in Israel, and Jewish values. About - NEW Shalom Sesame Be Happy - It's Purim! What’s new? Plenty of things and lots of fun learning… Did you say Fun Learning – YES, that’s right because with Shalom Sesame everyone learns something new and it’s always fun. 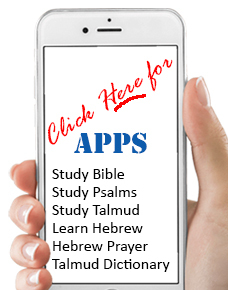 Have you seen the Shalom Sesame DVDs? They are so much fun. The Sesame Street Muppets teach children (and their parents too) about the Hebrew Alphabet ,Jewish Culture and Israel. I love learning about my Jewish History and Tradition, though, so watching these is always a learning experience. It's the same for kids. The DVDs have some of their favorite characters teaching them all these great new things. Bottom line… it's a great way to teach kids more about your traditions and culture. Awards: Shalom Sesame DVD Series won in the Professional Telecast Fiction Division. You're reviewing:NEW Shalom Sesame Be Happy - It's Purim!